(MENAFN - Kuwait News Agency (KUNA)) BAGHDAD, Nov 6 (KUNA) -- Iraqi Foreign Minister Mohammad Al-Hakim praised Kuwait's support for his country, calling on the Kuwaitis to invest in reconstruction projects in Iraq. This came during a meeting with the Kuwaiti Ambassador to Iraq Salem Al-Zamanan Tuesday. A statement by the Iraqi Foreign Ministry said that the Minister stressed the importance of coordinating positions in international organizations and the League of Arab States, calling for exchanging visits between officials of the two countries in the framework of enhancing bilateral relations and exchanging expertise. The minister reiterated his thanks to Kuwait's support for his country, especially in hosting the International Conference for the Reconstruction of Iraq, calling on the Kuwaiti side to invest in Iraq and contribute to the reconstruction of infrastructure. 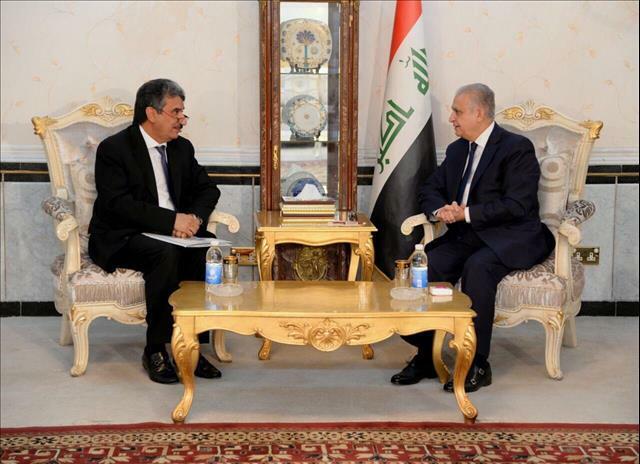 For his part, Al-Zamanan stressed the good relations between the two countries, calling for a new round of meetings of the Iraqi-Kuwaiti Joint Committee.